For the perfect solution to stable and independent mobility, only trust EQUIPMED Rollators and Scooters, offered exclusively online at Mytopia. Carrying on with daily routines can become a struggle for anyone with mobility issues. With EQUIPMED Rollators and Scooters, you can keep pace with today’s fast-moving world. EQUIPMED Scooters offer a more comfortable alternative to crutches. Ideal for people recovering from foot injuries, EQUIPMED Scooters make moving around easier and pain-free. Their ultra-light high-tensile steel frame ensures optimal manoeuvrability without sacrificing durability. Large smooth rolling 8” puncture-proof PVC wheels guarantee efficient indoor and outdoor use, while their PU cushioned knee pads make for a comfortable cruise. EQUIPMED Scooters support occupants of up to 136kg, but also only weigh 9.5kg for effortless storage and transport. Easy to fold and store, go far without the burden of lugging around heavy, bulky equipment. EQUIPMED Rollators are all about comfort, reliability, and smooth mobility. Designed with optimal ergonomics at front-of-mind, EQUIPMED Rollators feature dual-action loop hand brakes, ridged grips, height adjustable handles, padded seating and padded contoured backrests. Their lightweight anodized aluminium construction is at the crux of their exceptional durability, while the in-seat storage compartment and basket offer privacy and security when toting personal items. For all other aged care needs, check out Mytopia’s extensive array of durable and affordable Shower Stools, Mobility Scooters, Wheelchairs and Wheelchair Ramps. Reliability assured, all EQUIPMED Rollators and Scooters are backed by an Australian standard 12-month warranty for private use. 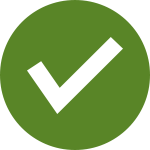 Guaranteed fast and easy delivery to all corners of Australia, whether you’re in Sydney, Melbourne, Perth, or the Outback - only from Mytopia. 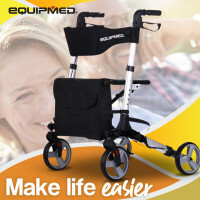 Buy an EQUIPMED Rollator and Scooter today and enjoy easy movement now and for the road ahead.